Enjoyable read, Matt. So cool to have a site like this a 30-minute drive from your driveway. Your nocturnal endurance, as always, impresses me and Terry is, well, an observing stud. London next to his XT 4.5 make a nice pairing, and good to hear that he is getting around so well on his own. As per an earlier email, maybe try out a green laser pointer on his ‘scope armed with his lowest power EP. I tell you, this has made a significant difference for me. I had my StarBlast 6 (now mounted on my ES Twilight I) last night for the first time in months and, for the first time on it, I used a GLP and, as with my refractors, it was just SO much easier to find and home in on objects. I used mainly a 32mm in concert with the glp and the object was either in the fov or just outside and easy to hit with a quick sweep. So maybe give this a test drive with London the next time out. So, did you do any work with your C80ED, and how did it go? I only recall reading some observing you did shortly after you recieved in last fall sometime and you were highly impressed. You say you were mainly ‘scope-hopping, but you must (?) have spent some time with your new glass. I am interested as I have been using my SV80ED and ES AR102 a lot of late, so curious as to your experiences with the C80ED. And, while I am on it, that C102 that we ALL bought for way cheap continues to amaze and impress. It’s easily my most versatile telescope and the resolution and ease of use (it’s SO light) make it maybe my favorite. That ES Twilight I is a great deal at $159 – thinking of getting one even though I already have the AZ4/Versago II that Matt used for his C80ED at the Party (see first picture) – just because of the price! Actually I’m more of an EQ person these days. 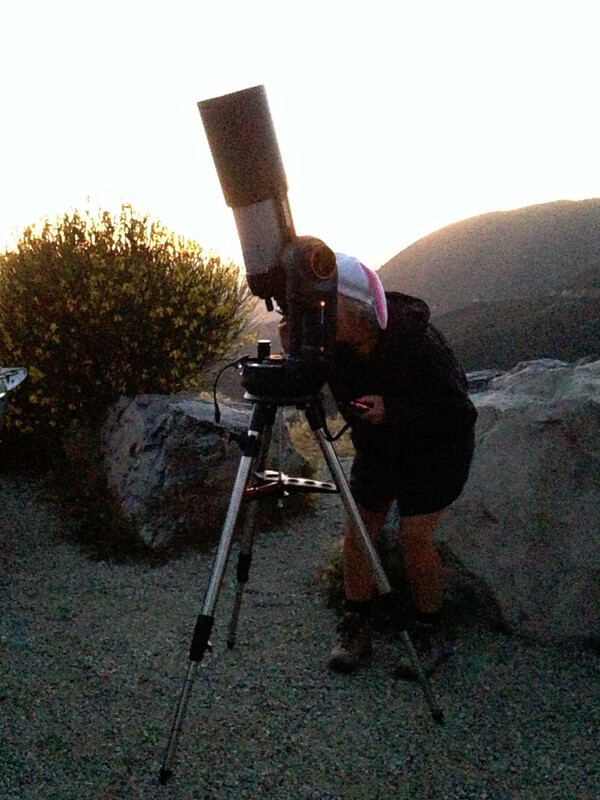 Once I got the hang of using them beginning of last year, I could never go back to using an alt-azimuth for serious high magnification, deep-sky work. Maybe for casual, light observing though. I’ve decided to use my Starblast 6 as an urban scope. Brought it out of storage a few weeks ago and finally observed with it for the very first time since purchasing it over 4 years ago. Saw the most detailed view of Jupiter I’ve ever seen through any of my scopes (at 250X). I plan to buy 4″ tube rings for my C102, which I haven’t used in over 2 years. I would prefer using it on an EQ and star-hop with it, rather than using the NexStar GOTO mount which originally came with it. I didn’t (and still don’t) recognize you in Matt’s photo! Good thing he identified all participants. including the SB 6 and have found this for me by far the fastest way to get centered on an object (using my lowest power EP, 32x GSO in the SB 6). So the scope, in essence, becomes its own finder. I can now whip the ota around just about anywhere, go to the low power EP and the object is either in the fov or just outside and easily and quickly centered. So do I understand correctly that your SB is a dedicated driveway/backyard scope? If so, not a bad idea as all that “extra” light gathering pays off in an LP setting. I use mine this way, and have pretty much since I’ve had it. I used it on Jupiter last week and had much the same experience as you, that is exceptional detail. And sharpness, too. I used my ES 11mm/82 apov plus an ES 2x barlow, so 136x on Jupiter; later tried a 3mm Zhumell planetary ep on its own (which similar to what you must have used to get 250x) and the image was a bit too soft, though larger. So the sweet spot is likely somewhere between the two. But we’ve had 5 straight overcast nights, so I’ve not been able to pursue this further. Happy that you finally got the SB 6 into action, and are finding it a fine ‘scope. I knew that once you used it, you’d like it a lot. My C102 has become my main scope: superb lunar and planetary views and terrific on brighter DSOs (best view ever of the double and ET clusters). The optics are so sharp, the 2″ focuser way more that just serviceable. And it’s so light for its size. For the $79 I paid for it including free shipping, 2 EPs, mirror diag, and red dot finder, well, I’m not likey to get that kind of score ever again. I use it now more than any other scope, including my AR102 and SV80ED. 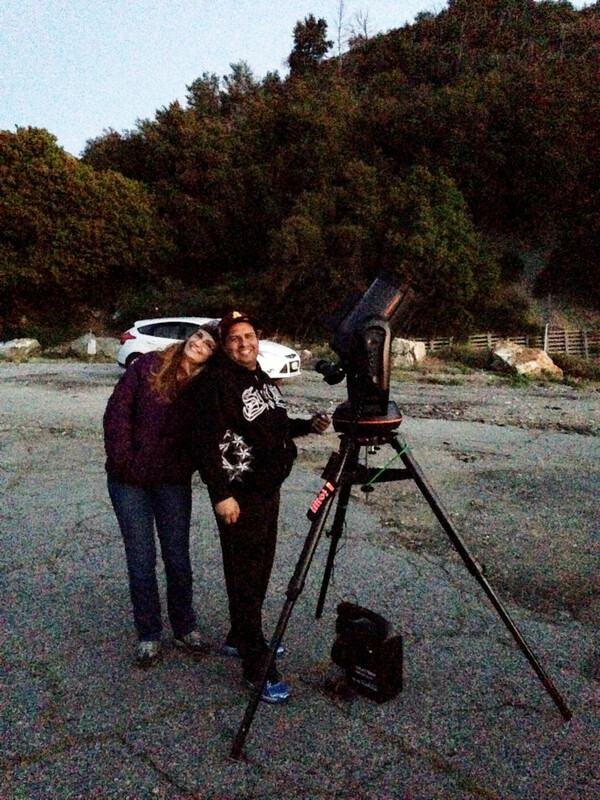 Btw, how did you find the NexStar go-to when you used it? Accurate and reliable . . . or? Good to hear what you’ve been up to. Yes – the SB6 will be used mainly from home, with the tabletop on the ground and me squatting down. I’ve only looked at Jupiter and Algeiba (in Leo) with it so far; very curious to see how many DSO’s a 150mm mirror can pick up in an urban white-zone. Also, I just bought a Celestron Omni XLT 150 Newtonian with a CG-4 EQ mount – if I wanted to take a 150mm scope to darker sky sites, this would be it. Interestingly enough, the C102 has been used mainly as an urban scope the few times I used it – the GOTO was good for seeking out objects where it was impossible to star hop because of the invisibility of guide stars. 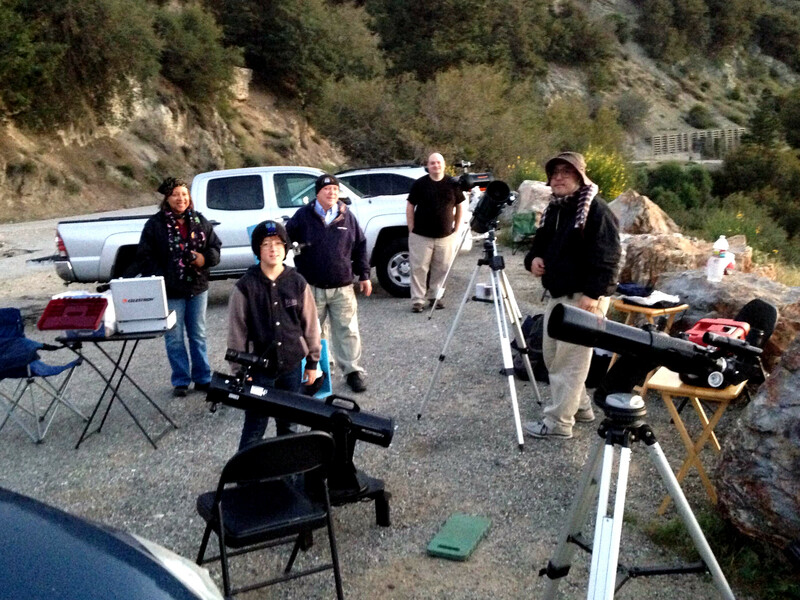 I brought it to the Arizona Star Party back in 2012 and that was the extent of it’s dark sky use. The GOTO worked well up to a point – because of a faulty cord, the power would suddenly go out from the hand controller and I would have to redo the settings and coordinates again (a pain). Right, I remember reading in one of the CN threads you mentioning that you bought that XLT 150/CG-4 package, I think for about $350. I’ve found that the SB6 even in my suburban white zone setting does a respectable job on even some relatively dim DSOs. Not great, but not bad either. I need to start using it more and dial back my infatuation with my assorted refractors. Star-hopping is always problematic for me as there are just so few visible sign post stars here, which is one reason the the glp as finder set up has worked so well. Yes, the Omni was a great deal for that price. Re: SB6 in white zone – that’s good to know. Really curious to see how many of the fainter Messiers (e.g. Virgo galaxies) will be visible on a moonless night.